One of the key roles of the EU’s Court of Justice is to interpret European law to ensure that it’s applied in the same manner across all member states. The Court is also called upon by national courts to clarify finer points of EU law to progress local cases with Europe-wide implications. This week the Court of Justice issued a landmark ruling on one such case that deals with a crucial and integral part of today’s Internet. 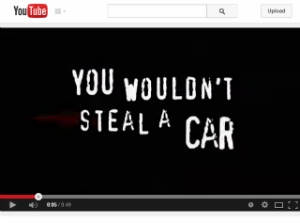 Is it legal to embed copyrighted content without permission from the rightsholder? says very little about embedding copyrighted works. The Court of Justice, however, now argues that embedding is not copyright infringement. The full decision has yet to be published officially by the Court’s website but TF has received a copy (in German) from the defendants’ lawyer Dr. Bernhard Knies, who describes it as a landmark victory. The Court argues that embedding a file or video is not a breach of creator’s copyrights under European law, as long as it’s not altered or communicated to a new public. In the current case, the video was already available on YouTube so embedding it is not seen as a new communication. The Court based its verdict on an earlier decision in the Svensson case, where it found that hyperlinking to a previously published work is not copyright infringement. Together, both cases will have a major impact on future copyright cases in the EU. For Internet users it means that they are protected from liability if they embed copyrighted videos or images from other websites, for example. In addition, it may also protect streaming sites who use third-party services to embed videos, even if the source is an infringing copy. During the days to come the Court of Justice is expected to issue official translations of the ruling as well as a press release. Many legal experts have been waiting for the decision and further analysis of the verdict’s implications is expected to follow soon after.